Established in 1963 by Enzo Bonafe at Bologna, Italy. After experiencing of shoe-making at A.Testoni, Enzo started his own brand in cooperation with his wife and other craftsman. 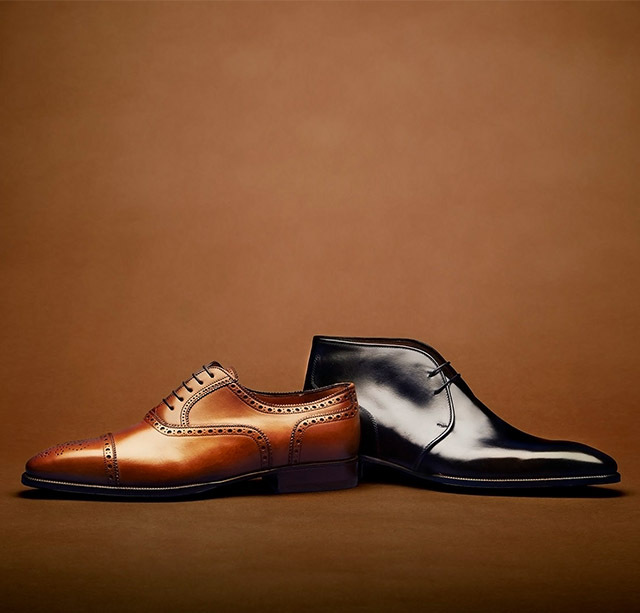 His shoes are made by various technique including hand-sawn welted construction (of which 90% are hand-crafted) as well as Bolognese construction. Enzo Bonafe was given citation in 1986 (40th Anniversary of the Repblic of Italy) as the enterprise contributed to Italian cultural development by the president of Italy.